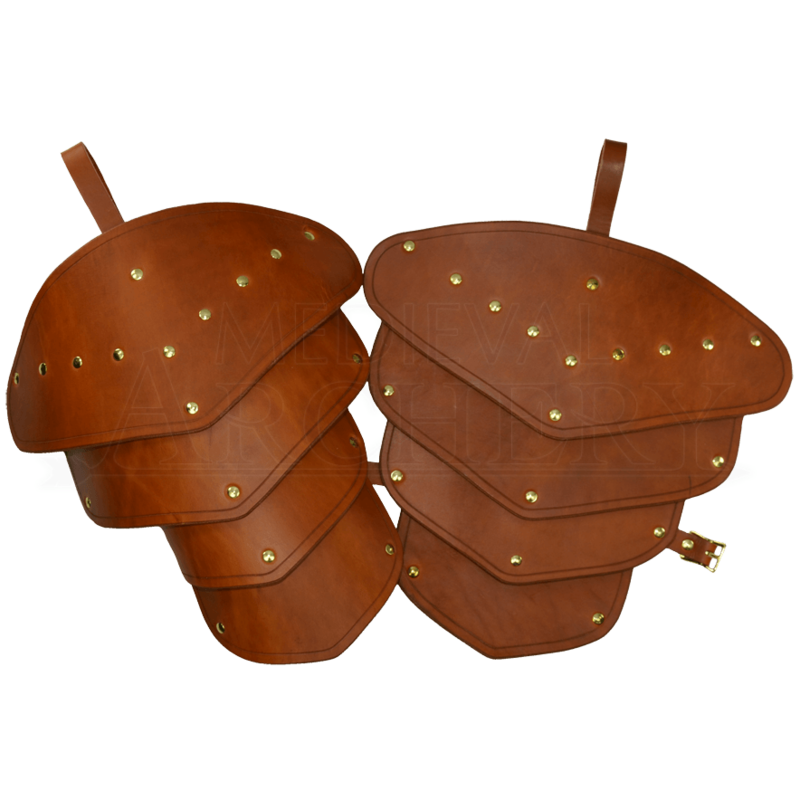 A tasset is a piece of plate armor that is designed to protect the upper legs. They traditionally hang from a cuirass or a fauld. Our Leather Tassets do exactly the same thing, only they are obviously made from leather, not metal. It might be fair to say that our leather tassets are a slight twist, a re-imagining of an already existing piece of armour. These tassets have been made from a series of leather plates that have been secured together to provide flexibility, strength, and durability. They are also hand-crafted from solid, durable 13/15 oz. leather that works wonderfully as a form of armour. These leather tassets have a belt loop that you can attach to a belt or straps on your cuirass as well as a thigh strap to keep them from moving around. Our Leather Tassets look very good and they will protect you well enough to keep you fighting the good fight. Got these in the black. These tassets are very well crafted and looks really really good. I was really impressed when I got these and the quality of them were so good. These were a little bigger than I thought but its nice cause after I formed them to my legs they covered a large portion of them which is what I wanted. At 6'2 and 200lbs these were perfect for what I wanted for my size and for what I wanted to spend.